Youtube is one of the best sources for streaming videos online, it is the largest video sharing website where you can find the video songs of the albums of famous singers and all the concerts.Music fans are also regular visitors of YouTube for most famous music videos can always be found on it. You might want to listen to them offline or convert the video to an MP3 for entertainment while travelling.Many people like to convert YouTube videos to MP3, so that they can enjoy great music on their MP3-compatible devices including their PC, Mac, iPod, PSP, Zune, Zen, and so on. 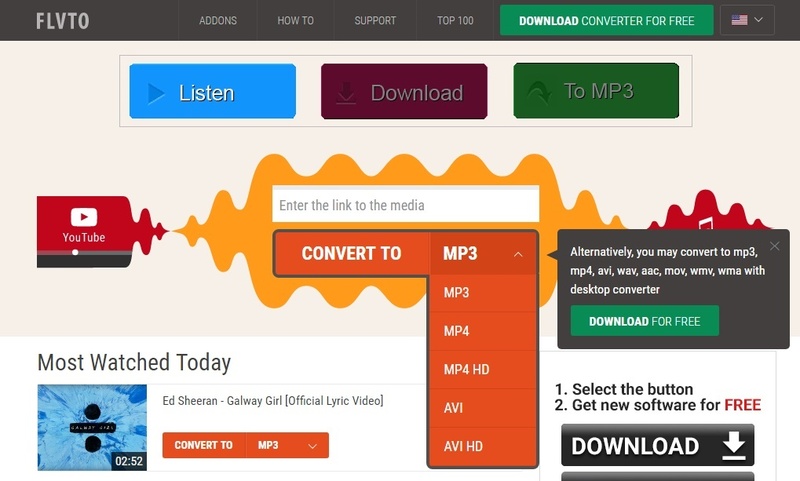 There are some online tools which can make this conversion easy.In this article, we have arranged a list of best free online Youtube to music converter tools.These tools can easily convert youtube video to the Mp3, so you can download the audio version of any track. Clip Converter is my own favourite online Youtube to music converter tool.It can easily convert youtube video to the MP3 format and allows you to download the audio file with the good audio quality. Using this tool is easy and you can convert youtube video online by just entering the URL of the video.Clip convert tool doesn’t only convert the Youtube video, you can also download the Youtube videos using this tool. Similar to the Clipconverter, Fetchy allows you to convert the youtube videos to the music track, so you can listen to the songs of your favourite band.It has a great UI which makes it easy to use this plugin. 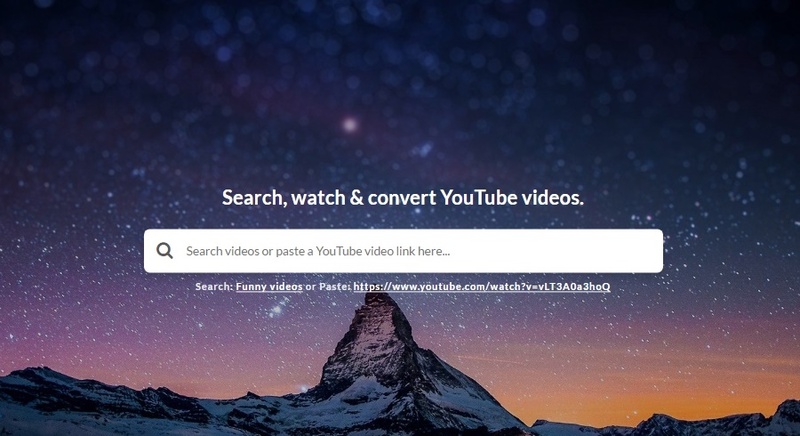 Fetchy allows you to download the youtube videos online so you don’t have to look for another tool to download the youtube videos.The best thing about this tool is that it is free and will be forever. To convert and download the youtube videos using fetchy, you just have to paste the video URL then press the enter button.After pressing the enter button to wait for 1-2 minutes and once all this process complete, you can click on the download button in the bottom. Flvto.biz is an another online tool which can be used for Youtube to music converter.Different from other free online YouTube converter to MP3, its web page is quite attractive and the using this tool is easy just like Fetchy.io. Using this tool you just not convert youtube videos to mo3 format, but also convert the video to other formats.It also allows you to download the youtube videos. Flvto allows conversion in mp3, mp4, mp4 HD, AVI and AVI HD format.To convert the video, just enter the youtube URL of the video and select the output format.After waiting for 1 minute your download will be available on the page. 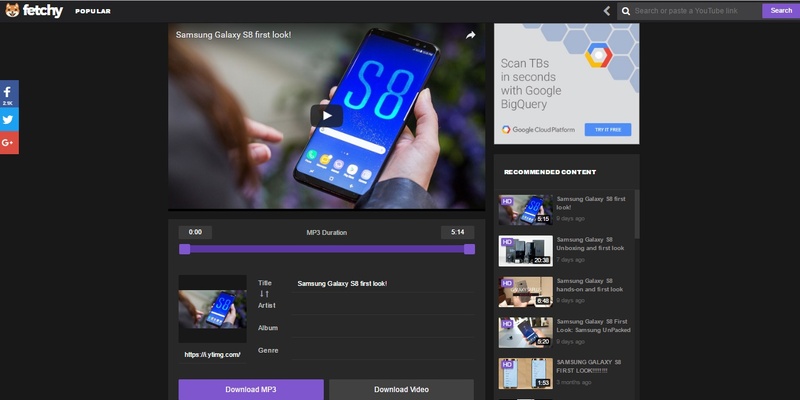 Youtube In Mp3 is one of the best tools, The app insists on updating its technology and brings users the nice service.This tool only focuses on the converting youtube videos to the mp3 format which makes this tool more user-friendly. Using this tool is very easy, you can convert any Youtube video to the mp3 format by just entering the URL and clicking on the download button.No extra button you have to press just press one button and your download link will be available on the web page. Dirpy is the last Online Youtube to music converter tools of this list.The basic function of this tool is to convert video to MP3, and you are free to choose the output quality including 256kbps, 192kbps, 160kbps and 128kbps. The conversion process will last from several seconds to a few of minutes.It has the additional features like you can cut the audio before downloading.You can also edit the details of the audio like the Title, Artist name, album year and much more. The only thing which makes this last in this list is that dirpy can’t convert the videos which have more than one hour of play time, but you can convert the lesser play time videos in the high quality.